Mani (Abhimanyu Raghav) brings Ishita’s medical records to the hospital and also promises Ruhi that he will take her to Ishita as she gets fine. 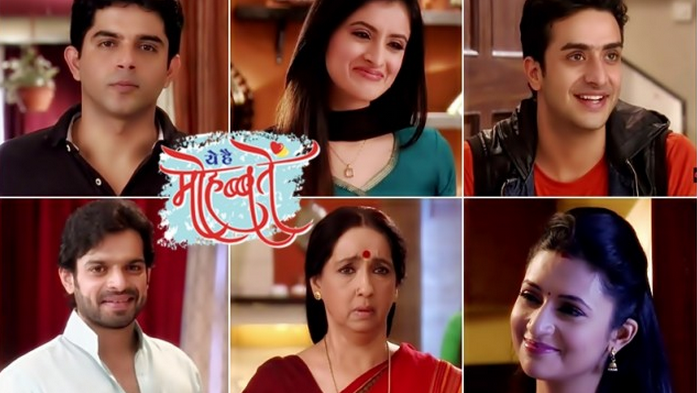 Mani keeps his promise and brings Ruhi to meet Ishita when she gets conscious. Ruhi meets Ishita and cries seeing her in hospital bed. She hugs Ishita and cries. She asks Ishita why did she not have food. Mani gives Ruhi the soup asking her to make Ishita have it. Ruhi breaks her fast, which Raman and Mani could not do. Ishita did not wish to break her fast, when even Raman insisted her to have the fast. Even her best friend Mani could not break her fast, and finally the little angel used her magic wand and used her charm and love to melt Ishita’s heart and break her fast. Ishita wanted to keep the fast as she has promised Mrs. Bhalla that she will keep all her traditions. Raman scolded her enough and his anger showed he is normal. Mani has got some bad bits about Raman from Ashok and he heard Romi saying Raman treats Ishita badly. He gets a doubt on Raman, but he also witnesses Raman’s concern for Ishita, which can brings tears in his eyes and make him fight with the world. Raman has fought with the hospital strike union group and stopped them, as Ishita was being treated at the hospital. With two sides of Raman, which one will Mani believe? Ishita and Ruhi’s bond is well known to Mani and he wishes Raman to accept Ishita as his wife, not just Ruhi’s mum. Ishita clears to Mani that Ashok lied about Raman, and Raman is a very caring person, and it was Shagun who cheated him and went to live in with rich Ashok. Mani will realize Raman’s goodness and be sure that he is the best for Ishita as her life partner. Well, the viewers know that Raman is nearly 99.99% close to Ishita as his love can be seen in his anger and positive jealousy. Keep reading. I started watching Glow tv recently and this is love is my favourite soap nw that u are introducing new soapies, where can I get the other episodes?